To redeem this bonus you are required to register with Paddy Power. 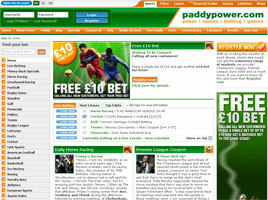 If you take a look at your bet slip you will find a free bonus there displayed. Note that Neteller or Moneybookers are not allowed while making use of this offer. Only new customers can take advantage of this offer.